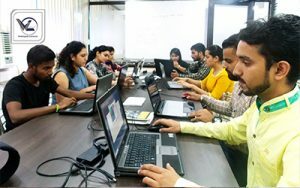 Webliquidinfotech is the best Institute for Web Designing Training in Chandigarh, Mohali, Panchkula that is based on current industry trends, that helps the students to get jobs in reputed companies. Our Web Designing training in Chandigarh provides the students with hands-on practical and the necessary job support from the basics to the advanced level training courses. There are many other Institutes for Web Designing Training in Chandigarh but no one matches to the quality that Webliquidinfotech delivers. Webliquidinfotech Chandigarh, recognized as the top Web Designing training institute, which has training module for beginners, intermediates, and experts. Whether you are a college student, I.T professional or a project manager; the best Web Designing Course offers the best and flexible training schedules for entire modules. Web Designing is a great career option, and here are some of the Basics of Successful Web Design. What Makes our Web Designing Course in Chandigarh Different ? 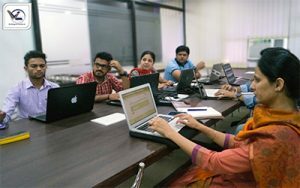 People are not sure whether they should take a Web Designing Course in Chandigarh or not because their main concern is the post-training support. Many few training providers actually provide support! Along with every Web Designing Training Course, we will offer you bonus free 5 session of one hour each of direct one to one session which you can consume within a year. We will be with you on your journey. We understand that you are busy with a lot of stuff in your life and that is the reason we have planned our training sessions as per your convenience. Before we start the classes the schedule will be discussed with you. If for any reason you can’t attend a particular session just inform us at least 3 days before and we will reschedule your session. Webliquidinfotech is one of the finest Institute for Website Designing Course. 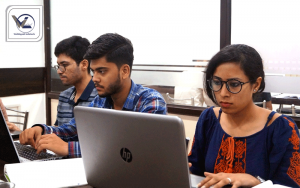 At our Web Designing training Center, Placement team schedules recruitment drives where the technology-driven named companies hand-pick our students. Web Designing Training with job assistance is the key feature which rated us ‘star five’ in the reviews by our students. Reviews and authentic feedback are cited on our official website. Web Designing Course in Chandigarh has been planned according to the recent industry patterns. We have designed our Web Designing course syllabus taking into consideration the expert level requirements of the learners; helping them to get placed in their desired companies and achieve their aim. Webliquidinfotech makes ready a large number of wannabes for Web Designing at sensible expenses. Webliquidinfotech is the best Academy for Website Designing training in Chandigarh delivering out-of-box thinking professionals to the industry. Along with Web Designing Classes, we conduct sessions for personality development, spoken English, and presentation. Web Designing is basically the process of collecting ideas, and aesthetically arranging and implementing them, guided by certain principles for a specific purpose. Web design is a process of crafting with the intention of presenting the content on electronic web pages, which the users can access through the internet with the help of a web browser. a website is a compilation of web pages that can be accessed on the Internet. It is what is seen on the computer screen when a user types in a web address, puts a query into a search engine or clicks the link. A website designer designs websites. The design aspect takes not only creative and artistic talent but also entails making sure the site is easy to use and the information is easy to access for all users. Web Designing is of great importance and here you can also learn Why is it essential to have a Website Designed for Your Business? A Web Designer earns an average salary of Rs 234,558 per year. Most people with this job move on to other positions after 5 in Web Designing. Experience strongly influences income for this job. A conversation of PSD to CSS. Feed your creative side– From graphics to color schemes, website design jobs allow you to use artistic skills in your day-to-day work. If you have a brilliant aesthetic sense and are detail-oriented in your design method, then Web design might be a good match. Work on the Web– Who doesn’t love the Internet? Being a Web designer permits you to not only work with websites every day but also to shape the way people interact with the Web. Customer’s first impression of a company is often through its website rather than print materials such as business cards or marketing mailings. Working with the Web as your medium permits you to make a big impact on a company’s brand. Be independent- Many designers work in-house for large organizations or are part of a design firm’s staff, there are many opportunities to work for yourself. Being self-employed permits you to pick what clients you want to work with, set your rates and work hours. Our mentors are industry-experts and subject specialists who have mastered on running applications providing best Web Designing to the aspirants. We have received several awards from our recognized IT partners. Our trainers are MNC working professionals employed in HCL Technologies, Birla-soft, TCS, IBM, and so on. Our trainers are certified professionals owning years of experience in the industry. Webliquidinfotech with has a dedicated HR wing that assists students in securing placement according to their necessities. Webliquidinfotech assist students in developing their resume as per the current industry standards. Apart from Web Designing Course in Chandigarh, we also facilitate students with sessions provided on personality development, spoken English, to develop a high level of confidence for facing challenging interviews competently. Webliquidinfotech is the finest institute that provides the Web Designing Training to the students. We have one of the best faculty for Web Designing. Quality of teaching is an aspect that can only be experienced, so the finest option would be visiting our Web Designing Training Center, and attending a free of cost demo class, to clear out all your doubts.